Replacing your inefficient windows with aluminium double glazed windows is one of the best ways to make your home more energy efficient and reduce your heating bills. Double glazing works by retaining heat in your home with an energy efficient spacer. This is usually Argon, and has fantastic insulation qualities by preventing heat from passing between the two panes of glass and exiting your property. Combined with aluminium frames, you’ll have a resilient window that will be saving you hundreds of pounds every year. Double glazing is specifically designed to limit heat loss, ensuring energy bills are slashed all year round. As heat can’t escape it’s locked in your property, meaning you won’t have to up the boiler temperature. Double glazing in itself is a proven method to add security as potential burglars are put off by the two panes. And combined with aluminium you have even more strength. Carbon is responsible for global warming so reducing emissions is crucial to helping the environment and meeting tough EU targets set to the Government. In the same way heat is retained, noise is kept out. This is especially great for homes close to busy main roads or near traffic works. Of course, the major benefit for choosing aluminium over uPVC or hardwood, is the amazing resistant and durability it offers. 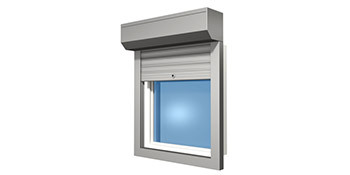 Aluminium can handle stronger wind loads whilst also being resistant to impacts and adding security to your home. On top of this they need little maintenance, unlike wooden window frames. Aluminium frames are also lightweight and come in a range of colours to separate your home from others on the road. If you’re interested in aluminium windows it’s best to receive a number of quotes to compare prices and ensure you get the best deal for your money. Properties are given an energy rating based on exactly how efficient they are and ratings are shown in the information beneath. This ranges from A, by far the most energy efficient, to G, the least efficient. With a higher rating you're more likely to have cheaper energy bills as more heat will likely be kept inside your home. You'll be able to boost your home's efficiency with insulation such as upvc double glazing, loft lagging or wall cavity insulation. The data underneath reveals the diverse types of properties within Uk. By far the most common properties throughout the UK are detached and semi-detached houses. Other types of properties consist of terraced houses, flats, converted flats and bungalows. The pie chart beneath reveals the proportion of houses within Uk that are central heated and non-central heated. Central heating figures in the the greater part of UK homes, which includes those on the gas grid and houses heated by oil and electric. The data below shows the spread of homes warmed by various fuels. Around the United Kingdom the most frequent by far are gas heated homes, followed by electricity and then oil. Biomass central heating boilers are also rising in popularity, heated by eco-friendly products like wooden pellets or agricultural waste.|Properties in the UK are heated by a number of fuels, such as gas, electricity, oil, solid fuel and LPG boilers. Each fuel has a varying cost associated with it so you could find yourself with cheaper energy bills by changing how your home is heated. Even solar thermal panels are being considered by many in order to cut heating bills for the many years to come.